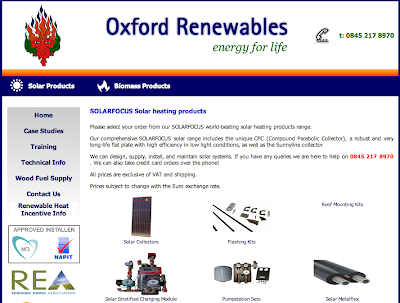 21 May 2012: I had a telephone chat with Ben Carter of Oxford Renewables, who are the UK importer of the SolarFocus swimming pool panels that I use on the Peveril Solar house. I am anxious that they should know how good these panels are, and that they should continue to import them. Perhaps they will have a link to the 'ChargingtheEarth' website. I don't know how many people there are with swimming pools who need them, but for Thermal Charging of the Earth, they are beating my evacuated Tubes easily! If left naked, they would only work when sunshine falls on them, but enclosed in a Sunbox, they have proved to be very worthy! Even when I had a leaky time during the sunny days of March, it was one of the plastic piping joints which leaked - I am glad to say that the four polyethylene SolarFocus panels all remained water tight! If anybody with a GSHP wants advice on augmentation, I would definitely use these now. At £100 a square meter, they are good value compared with other solar panels, and need a much simpler pumping and control circuit. The panels are made by SolarFocus in Austria. They now seem slightly different from the ones I have (which are three years old or more), but they are the same size (1 sqm) and weight (6 kg). The ones I have are 40mm inlet, with a horizontal direction top and bottom, and it's possible to get a variation on the directions of the inlet/outlet. There is a PDF on line, for more information.